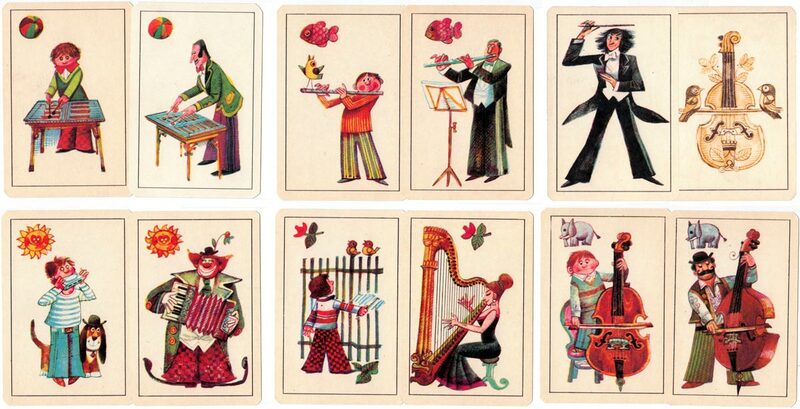 ‘Čierny Peter’ is the name of a children’s card game for 3-6 people which is prevalent in many countries around the world. 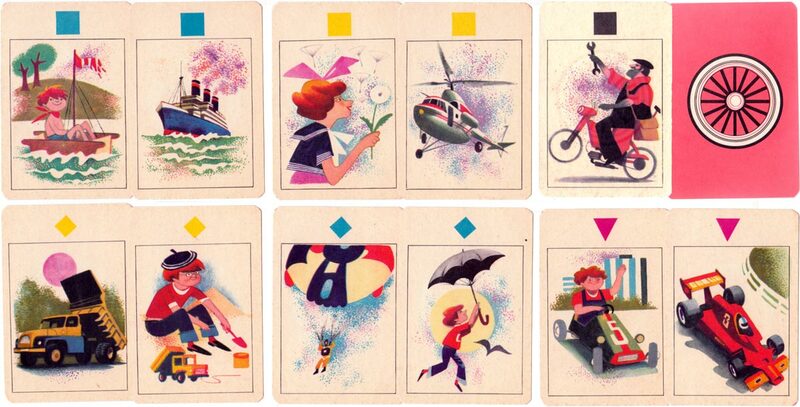 It is a variation of ‘Old Maid’, a pairs matching game played with a special deck of cards with various cartoon characters on them, often following themes such as music, children, occupations, sports, etc. Each pair has a matching picture symbol on the top left of the cards to easily identify them as a pair. In other countries the game is known as ‘Black Peter’, ‘Petter-spel’ or ‘Pekka-peli’. At the end of the game only one player is left with a single card, ‘Čierny Peter’: that player is the loser. 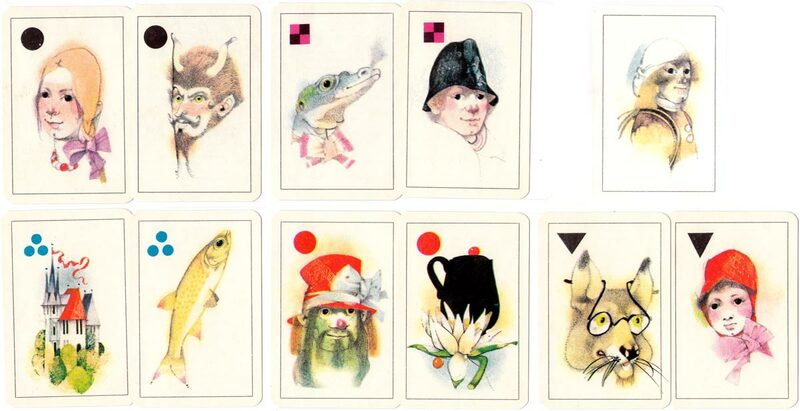 Above: boxes from various ‘Čierny Peter’ sets based around different themes manufactured by Obchodní Tiskărny. Each one has 33 cards + rules in the box. All images courtesy Rex Pitts.